Fruit trees have been cultivated for thousands of years and have long been regarded with reverence. "Apart from milk and honey, fruit is nature's only pleasure-laden natural food," says Mitch Lynd of the Midwest Apple Improvement Association. They may be classified by several determining factors, such as genus and family, tree size, fruit development and growth habits. Fruit trees are known by a common name, as well as a scientific or Latin name. They are classified by their species or genus, as well as their family. For example, the genus name for apple is Malus and it belongs in the Rosaceae family. The Rosaceae family also includes roses, strawberries and caning berry fruits. Common names sometimes reflect attributes of the fruit or the origin of the fruit, such as American plum (origin) or blueberry (color). Fruits are also classified by where they grow. Subtropical fruits or "tender" fruit trees are those that require a frost-free climate to thrive. These include citrus fruits, pineapples, pomegranates, mangoes and papaya. Temperate-zone trees produce better fruit when exposed to some cold winter temperatures. 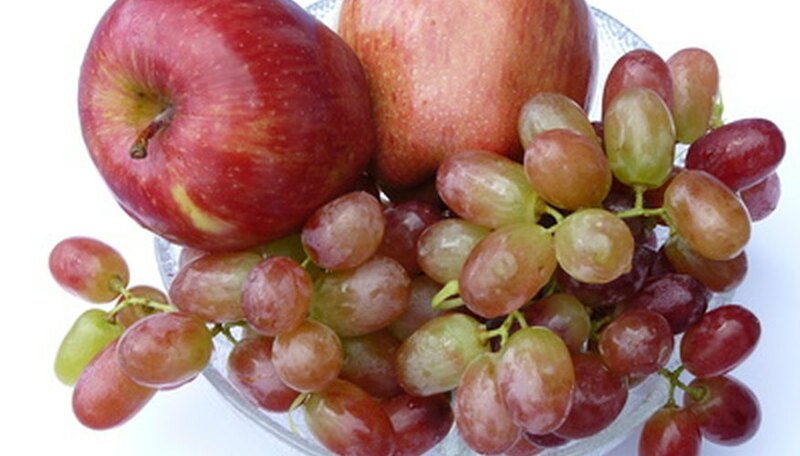 These include apples, pears, peaches, plums, apricots and cherries. Peaches, apricots and cherries bloom early in the spring and are often nipped by late frosts in cold regions. These trees perform best in areas with mild winters and warm summers. Fruits can be classified by their seed formation. Fruits with one large seed, such as peaches, nectarines, cherries, avocados and plums are known as stone fruit. Pome fruits are those whose flesh grow around a central core of seeds, such as apples or pears. Nuts are also considered fruits. Fruit trees can be classified by how they grow. Apple, peach, pear, plum and nectarines grow on upright trees with deciduous leaves. These trees need annual pruning to maintain health. Citrus trees have glossy, semi-evergreen leaves with dense canopies. They require less pruning, but are easily killed by frosts. Grapes and kiwis aren't technically trees, but rather vines. Berries generally grow on canes that may reach 6 to 8 feet high, but also aren't trees. Fruit trees are also classified according to size. Standard fruit trees reach 35 to 50 feet high, making maintenance and harvest difficult. Semi-dwarf and dwarf varieties are trees that have been grafted to smaller root stock, resulting in trees that are half to two-thirds the size of standard trees. These trees take up less room in the garden and are easier to care for. They have shallow roots, though, and are damaged by winter winds and cold temperatures.